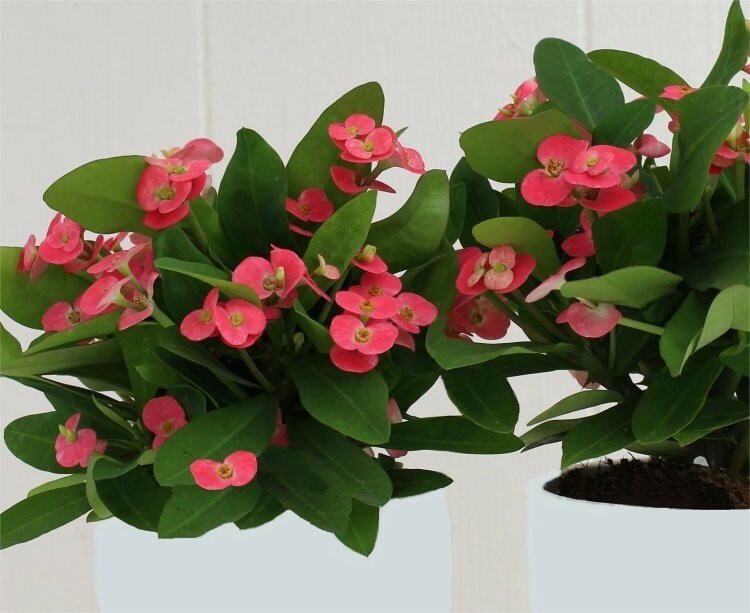 Euphorbia milii, or Crown of Thorns as it is known is a sun loving plant that will flower in the winter to brighten up your home. A lovely looking plant that is native to the island of Madagascar with long lasting pretty pink flowers, it is very easily cared for. 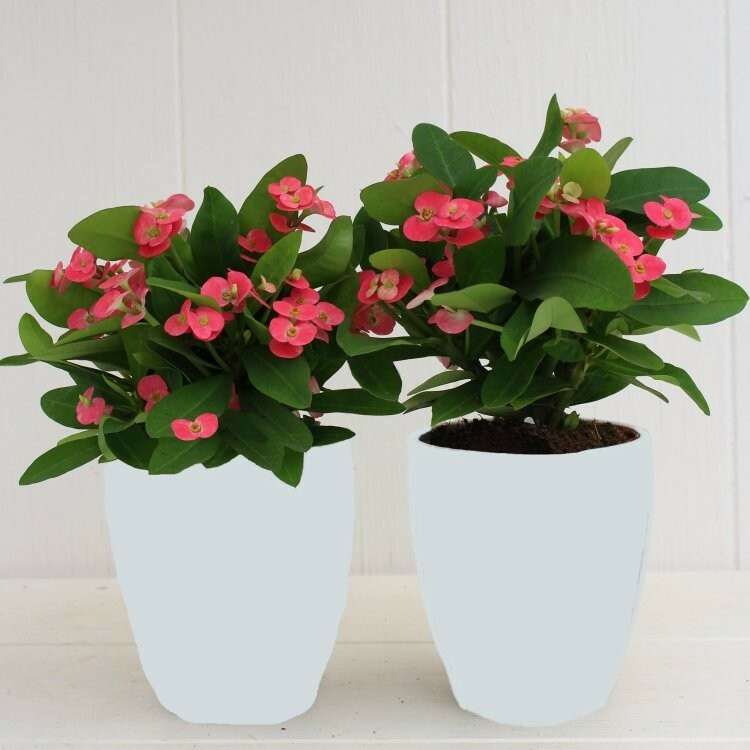 Supplied at around 25 cms tall in a 12cm pot, covered in buds and blooms, and complete with a classic white display pot to show it off, this is ready to simply position and enjoy.